The influence of the powerful and politically well-connected Gupta family is set to grow this year with the addition to its media portfolio of a 24-hour news channel on the continent-wide DStv satellite platform, and a new prime-time slot on SABC. The owners of the new DStv venture are Oakbay Investments, the main Gupta family vehicle, Indian satellite giant Zee-TV and a black empowerment partner that no one involved in the process was prepared to name. In addition to “Gupta-TV”, as the new channel has been dubbed, the Gupta-owned The New Age newspaper will also play a major role in a new evening actuality slot on the public broadcaster, SABC head of news, Jimi Matthews, told the Mail & Guardian. That move comes against the backdrop of controversy over free screenings by the broadcaster of business breakfast events hosted by The New Age. Oakbay will own 35% of the venture, and Essel Media, which owns India’s Zee Entertainment Enterprises will also own 35%. Zee News, which is influential in India, was embroiled in a media scandal last year after two of its senior staff were allegedly caught in a sting operation and accused of trying to extort millions of dollars in exchange for not running reports on an alleged coal scam linked to the Jindal Group. The remaining 30% of the ownership will go to a black empowerment firm that has not been identified yet. The New Age released a statement which said “the BEE structure is still being finalised and its components will be made public at the appropriate time”. 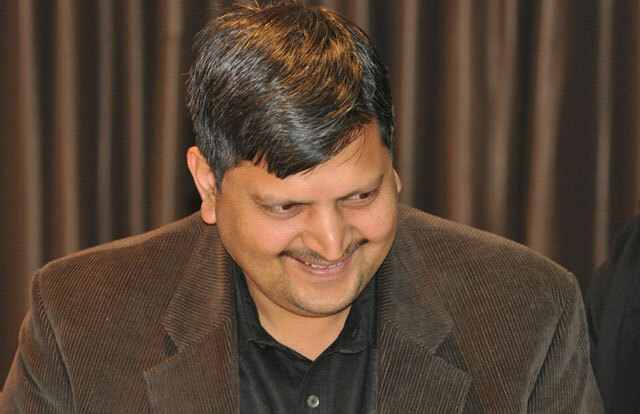 One of the Guptas’ current empower­ment partners is President Jacob Zuma’s son, Duduzane, who, with Rajesh Gupta, is a director of Mabengela Investments, and sits on the board of directors of JIC Mining Services with Gupta and others. Television executives familiar with the funding arrangements at the satellite provider said that, although the most popular channels, such as CNN International, received subscriber royalties in return for their content, the less popular channels had to pay DStv to be carried. The Guptas’ news television channel, which is scheduled to start broadcasting in six months’ time, has been kept a closely guarded secret, but word of it leaked out this week. An industry insider has claimed that Zuma himself met Koos Bekker, the group CEO of Naspers, to propose the idea of DStv providing the platform for the Guptas but this could not be confirmed. Bekker was sent questions by the M&G but was not available for comment. The presidential spokesperson, Mac Maharaj, could not be reached for comment. Patel dismissed the claim that Zuma was involved in setting up the news channel. He said a proposal had been presented to DStv for a news channel. It was a business proposition, he said. Patel said he could confirm that the new news channel would be launched on its platform, and Multi­Choice would constantly review whether it was attracting audiences. “We welcome a diversity of opinions and viewpoints, especially in our robust environment,” said Patel. The SABC has confirmed that it is expanding its relationship with The New Age, despite a controversy that has been raging since last month over the newspaper’s involvement in broadcasts on the SABC’s Morning Live slot. Three of the country’s state-owned companies, Transnet, Eskom and Telkom, have paid millions of rands to bankroll the business breakfasts, benefiting the Gupta mouthpiece. Although the SABC does not charge the newspaper to flight the breakfasts, the public broadcaster handles both the production and editorial content. Matthews said plans were afoot to work with The New Age in bringing out a new monthly programme on its Sunday Live current affairs programme, which is run in the early evening on SABC 1, the corporation’s most watched of its three channels. He said that although the public broadcaster would have editorial control over the content, The New Age would concentrate on sponsorship, branding and possibly finding the venues, as it did on the Morning Live breakfast show. Matthews said the programme would have a different format, because the breakfast shows are held in upmarket urban venues. The Sunday Live programme would engage with ordinary people, he said. As it is a current affairs programme, it could involve political or social issues affecting communities. The SABC’s acting chief operating officer, Hlaudi Motsoeneng, said the SABC’s Morning Live breakfast programme was reaching a wide audience and has a viewership of 2,2m. Motsoeneng, who has applied for and is widely expected to be appointed to the post of chief operating officer of the SABC, despite criticism that he does not have a matric, claimed not to know anything about the 24-hour channel planned by the Guptas. Although he has been accused of censorship at the public broadcaster, Motsoeneng said the SABC was not waging a propaganda onslaught on South Africans. Although concern has been mounting in the ANC and its alliance partner Cosatu about the perceived influence of the Guptas over Zuma and his government, their move to broadcasting will further entrench their position in South Africa. Since the arrival in the country of the three Gupta brothers — Ajay, Atul and Rajesh — from India in 1993, the Gupta family has established close ties with Zuma and his family. A senior television executive who was working at e.tv when it was launched on DStv confirmed that “deep pockets are required” to launch a television channel. Although it was more than a decade ago, the budget was about R400m to R500m over three years, he said. When people came to him to say they had a few hundred thousand rands and wanted to start their own channel, he told them it cost e.tv about R1m/day to stay on air in the early days, he said.